To the southwest of Peloponnese Messinia is one of the regions of Greece with a rich history and outstanding natural beauty. Center and capital of the region is Kalamata, the coastal city at the center of the Messinian bay with its beautiful old town and the architectural masterpieces of the 19th century that adorn the streets. The beach of Kalamata is one of the most beautiful urban beaches of Greece, while the International Dance Festival in town is globally recognized. Mani with its imposing tower houses is a tourist attraction, situated under the shadow of Mountain Taygetos, one of the highest in Greece. Beautiful Kardamyli and other small villages within the green, wait for you to discover them. Moving in Messina, you will be impressed by the insuperable archaeological site, one of the best preserved throughout Greece. Ancient Messini is unveiled in visitor when he wanders among the ruins and has the opportunity to get an idea of life thousands of years ago. 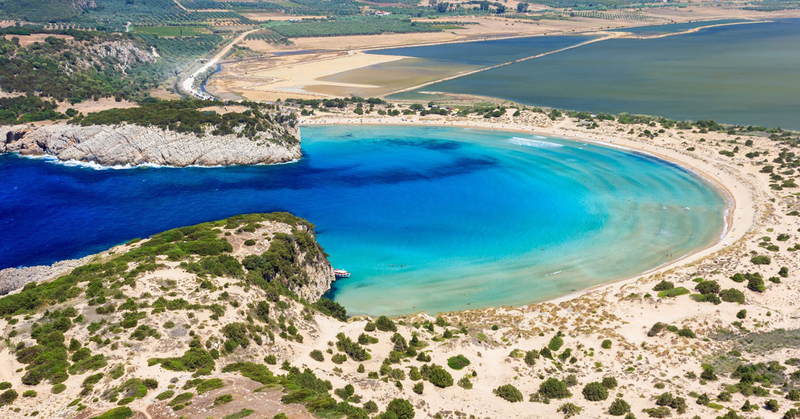 The visitors can also go to Pylos, the ancient palace of Nestor, Koroni and Methoni, with their castles , and Navarino of the historical naval battle. Unique natural beauties and attractions await tourists as Polylimnio, an unknown and undiscovered oasis with running waters, Voidokoilia, Gialova, the beautiful beaches of the Messinian Bay, the historic monasteries and modern attractions. Messinia gathers beauties for every taste and preference – the only certainty is that you will not stay unsatisfied!